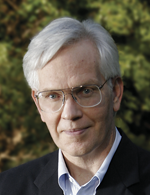 Kurt Cobb writes frequently about energy and the environment. His work has appeared in The Christian Science Monitor, Resilience, OilPrice.com, OilVoice, TalkMarkets, Investing.com, Business Insider, Econ Matters, Peak Oil Review, 321energy, Common Dreams, Le Monde Diplomatique and many other sites. He is a fellow of the Arthur Morgan Institute for Community Solutions and maintains a blog called Resource Insights. Opens a new page. Use the search bar to find your service. 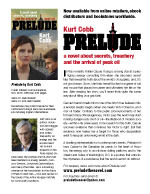 Share a Prelude flyer with family and friends. “Any wine for you?” Victor asked. “No,” said Cassie. “I want to be awake for lunch.” She turned her attention to the waiter. “I’ll just have some iced tea.” The waiter nodded and retreated toward the kitchen. “Have you eaten here before?” Victor inquired as he picked up the menu. “How about I order us a couple of appetizers to share?” Victor asked. Victor said he would get the stuffed grape leaves and the goat cheese torte, which he called “magnificent.” The waiter came with their drinks, and Victor ordered the appetizers, indicating that the two of them would order entrées later. “Tell me about yourself,” Victor said. “What do you want to know?” Cassie asked. “And what do you do on 19th Street just off the circle?” Victor had a slight smile on his face as if to acknowledge that Cassie was forcing him to ask for each bit of information. “I suppose so.” Cassie paused for a moment as the waiter lowered the appetizer plates onto the dark red tablecloth. “Oh, that torte looks good.” Cassie served herself a piece, as did Victor. She took a bite. He was definitely right about the torte. She noticed that Victor was looking intently at her as she chewed. “I’ll let you have the rest of it just to see that look on your face,” he said. “You’re sounding almost lewd,” Cassie retorted. “I enjoy other people’s enjoyment. It makes my life twice as enjoyable.” Victor finally took a bite of the torte. “No kidding.” Cassie sat up in her seat. They both concentrated on finishing the appetizers for a couple of minutes. Cassie looked beyond the half wall of red brick that defined the edge of the patio and could see that the sun had finally broken through the clouds. A delicious, light breeze was blowing on them. The city’s usual summer mugginess was taking a break. The waiter approached and asked for their orders. Victor got the lamb shank and Cassie ordered the tuna kabob. She also asked the waiter to set aside a piece of raspberry cheesecake so she could make sure she got one. “Perhaps we should go straight to dessert,” Victor said after the waiter had gone. “Well, I have been known to do just that,” Cassie replied. “All right, so, what can you tell me about oil?” Victor asked. “You mean that you don’t already know,” Cassie retorted. Cassie focused in on the words “peak oil.” The concept was really the product of some fringe petroleum geologists who theorized that the world was coming to the point where it wouldn’t be able to grow petroleum supplies anymore. Some of them predicted that production would decline rapidly after the peak and that that would cause a financial and social collapse. Surely someone as intelligent as Victor, an oil trader no less, wouldn’t fall for this apocalyptic claptrap. “So you think oil is peaking?” Cassie asked. Victor snorted mildly as he smiled, shook his head and looked down. Victor was starting to infuriate her. He wasn’t looking at the whole picture. Sure, he was an oil trader. But oil traders look at the very short term for the most part. That’s not the same as studying the long-term trends which she had done for years. Victor was getting agitated now. He had been calm up to that point. But Cassie had obviously hit on something that pushed a button. “And even if there are 15 billion barrels there, that’s only a six-month supply for the world,” he continued. “And they never mention the low estimate of three billion barrels; it’s too depressing. Now, I predict the oil they found in the Mooney-3 well will turn out to be too costly to produce, and they’ll end up capping it.” He emphasized this last point with a wave of his finger. “But Victor,” Cassie said, “you’re underestimating advances in technology. You’re acting as if we’re still in the Stone Age. And if people like you were in charge, we still would be.” Cassie didn’t mean for the last sentence to come out. But she was getting agitated, too. She couldn’t abide sloppy thinking like Victor’s. © 2010-17 by KURT COBB, All rights reserved.